Gas fireplace and central air for your comfort. Washer, dryer and refrigerator are all included. 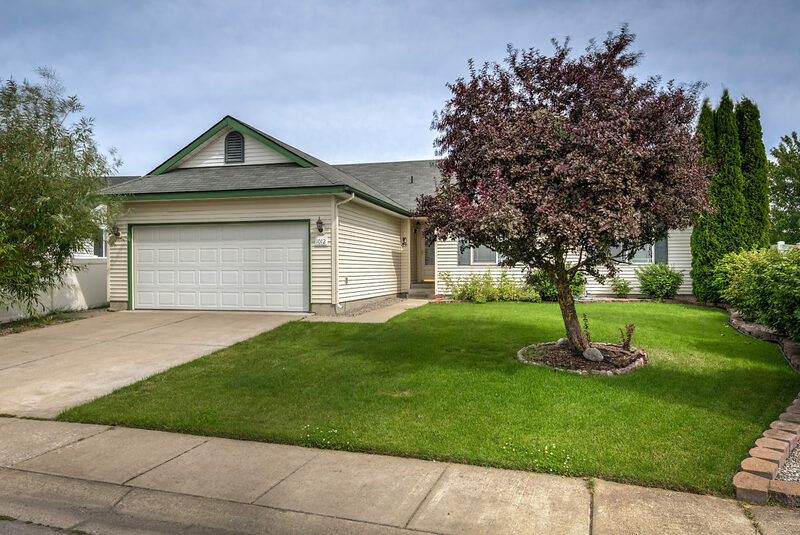 Nicely landscaped with a covered back patio, lawn sprinkler system, and a garden shed. Call 208-661-4749 to set up a showing. I apologize somehow I just now saw your comment. Are there any specific questions we can answer? We can also send some listings to you or your friends that fit their criteria if that helps. Mill River Condo for sale! © 2019 Coeur d'Alene MLS. All rights reserved. The data relating to real estate for sale or lease on this web site comes in part from Coeur d'Alene MLS. IDX information is provided exclusively for consumers' personal, non-commercial use and may not be used for any purpose other than to identify prospective properties consumers may be interested in purchasing. Information is deemed reliable but is not guaranteed accurate by the MLS or Link Properties Group.Data last updated: 2019-04-19T00:03:27.733.